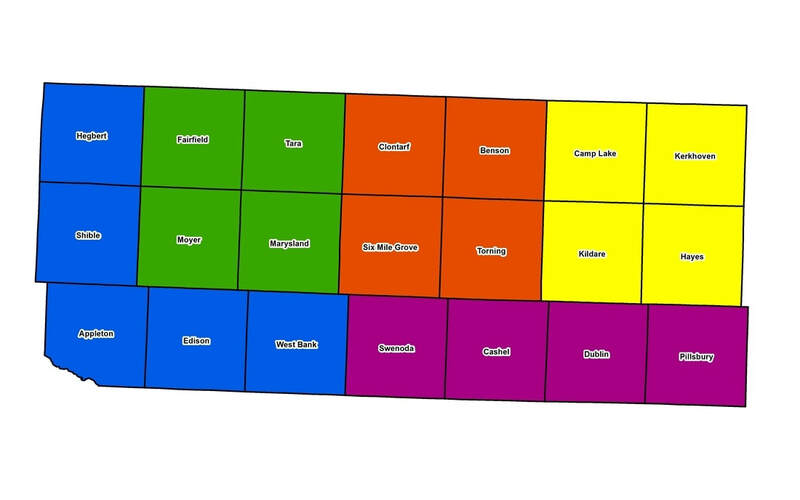 The Board of Supervisors serves as the governing body for the Swift County SWCD. The Board sets policy, hires employees, and is responsible to see that the operations of the SWCD are run effectively and according to law and rule. "The Swift County Soil and Water Conservation District is committed to providing high quality technical, financial, and educational assistance to landowners and land managers of Swift County by promoting sound stewardship of our land and water resources." The Board meets the second Thursday of every month at the Swift SWCD office. Meeting time is 8:00 am; meetings are open to the public.